If you are looking for the ultimate chocolate experience and plan to be in the UK, consider staying at the Chocolate Boutique Hotel in Bournemouth, where the family-owned hotel had their chocolate dreams realized. After starting one of the first chocolate fountain rental companies in the UK, Gerry and Roo Wilton used their success to become the proud owners of the Chocolate Boutique Hotel . 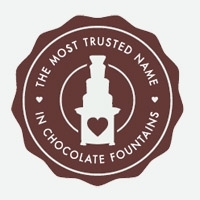 The Wiltons love of chocolate is evident throughout the hotel, which offers a choice of 13 chocolate-inspired rooms with names like Maya and Montezuma (sounds like Sephra’s commercial chocolate fountains!). Each room provides guests with an array of handmade chocolates and chocolate-themed movies, such as Charlie and the Chocolate Factory and Chocolat, are available. The Chocolate Boutique Hotel has a chocolate bar where guests can gather and drink chocolate martinis and satisfy chocolate cravings by dipping food like strawberries and marshmallows into a chocolate fountain. The chocolate offered at the hotel is made onsite, so you’re always guaranteed fresh and delicious chocolate. If you need to walk off your chocolate treats, the hotel is minutes from the center of town and beautiful beaches. If your dream has always been to immerse yourself in chocolate, the Chocolate Boutique Hotel will help this dream come true. While a guest, you can participate in several chocolate workshops and learn the history of chocolate, all while sampling various chocolates. You can choose a simple workshop, such as making chocolate truffles from raw ingredients in the Chocolate Delight workshop, or you can explore your creative side with Chocolate Portrait Painting workshop. In this workshop, participants get their photos taken, which are altered to allow you to paint yourself using melted white, milk and dark chocolates. The hotel offers chocolate-filled weekend packages that include lots of time spent with chocolate fountains, dipping treats, and getting in touch with the chocoholic within. The hotel also recommends their chocolate workshops as teambuilding exercises for companies and corporate parties. What better way to build team morale than by having everyone indulge in handmade Belgian chocolate? If Gerry and Roo Wilton hadn’t developed their chocolate obsession into a profitable chocolate fountain rental business, this fantastical hotel might never have existed, leaving all the rest of the chocoholics with few options for complete indulgence and chocolate immersion.